There are various strands to my work, which is why I like the image of the spider’s web. The spiral thread that connects everything together is intuition, the teaching that comes from within. I started out with an English degree at Oxford University (1989-1991), neatly sandwiched between a gap year of busking in Europe, and a couple of years performing with a fire juggling troupe, FireNoise. The intellectualism of the English degree was exciting but nearly made me mad. It was FireNoise that reacquainted me with my body, with rhythm and the elements. I knew that it was helpful for me, and (with youthful hubris) I was on the point of inventing a school of healing drama, when I discovered someone had already done it. Thus I came to London to study for a Advanced Diploma in Drama and Movement Therapy at the Central School of Speech and Drama. Here, I studied Jung, and was allowed to indulge my fascination for myths and fairy tales. After graduating, I returned to Oxfordshire and built up a broad range of creative and therapeutic projects in the community. I worked freelance for Reach Inclusive Arts (Swindon), Pegasus Theatre, Ithaca Ltd, Oxfordshire Mental Heath Care Trust, Stroud Theatre Company and Coral Arts, amongst others. Whilst studying in London, I first encountered storytelling as a performance art for adults, through the amazing Company of Storytellers (Hugh Lupton, Ben Haggarty and Sally Pomme Clayton). I was bitten by the bug. My Drama and Movement Therapy training had given me a bulging basket of myths and tales from all over the world, and taught me their power as companions, teachers, healers. I loved seeking out new stories and sharing them with others, never knowing quite how the story would come out. I picked up performance tips from workshops with Malcolm Green, Ashley Ramsden and Michael Harvey, but mainly learnt by experience, developing my own style. As well as bringing stories into my community work, I made storytelling shows with music, by myself and with a number of collaborators. 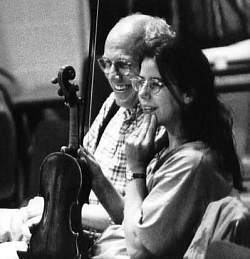 During this time, I was also performing as a musician. My first band, Jabberwocky, toured the festival scene with its quirky troubadour vibe, and released a CD, Mimir, in 2000. 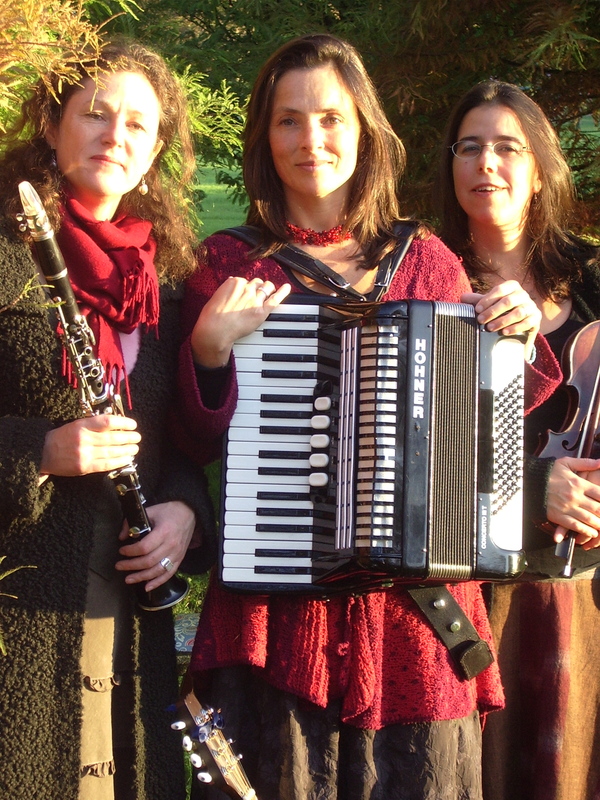 For a number of years I fronted an all-girl band Tiger Moon, who performed my songs in venues around Oxford. My solo CD, She is Gold, was released in 2003. 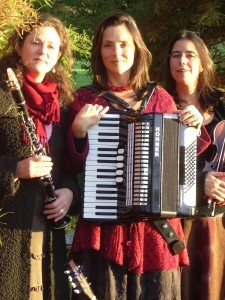 In 2001 I formed a trio Kismet with Kath Lucas and Melissa Holding, playing Celtic and Eastern European tunes and songs. Years later, we have four CDs to our name and, with Jon Fletcher as guitarist, offer our services as a ceilidh dance band. It’s hard to say where my interest in ceremonies began. Some mix of an Anglican upbringing, a loss of faith and a discovery of Pagan celebrations. Some feeling that the body needed to be included in matters spiritual. Weeks away in Shamanic contemplation in the Welsh hills. Coming home to Oxfordshire not sure how to integrate what I had experienced. All this happening against a backdrop of work in community settings with people from all kinds of backgrounds. 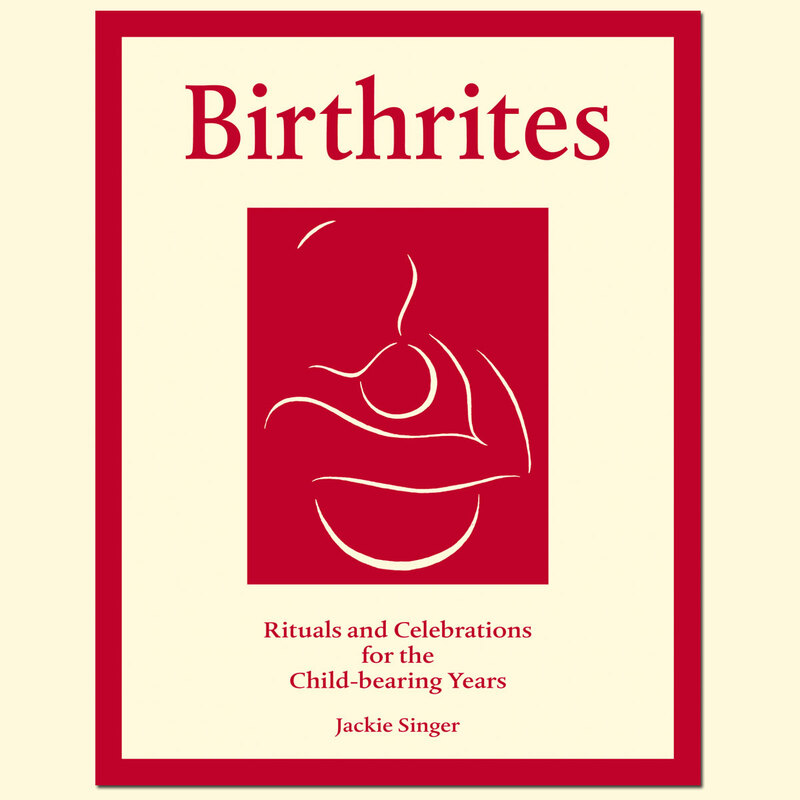 I came to understand that creating inclusive ceremony around rites of passage (birth, marriage, death, transformation) was a way of bringing home the riches of shamanic work and earthing it within families and existing communities. 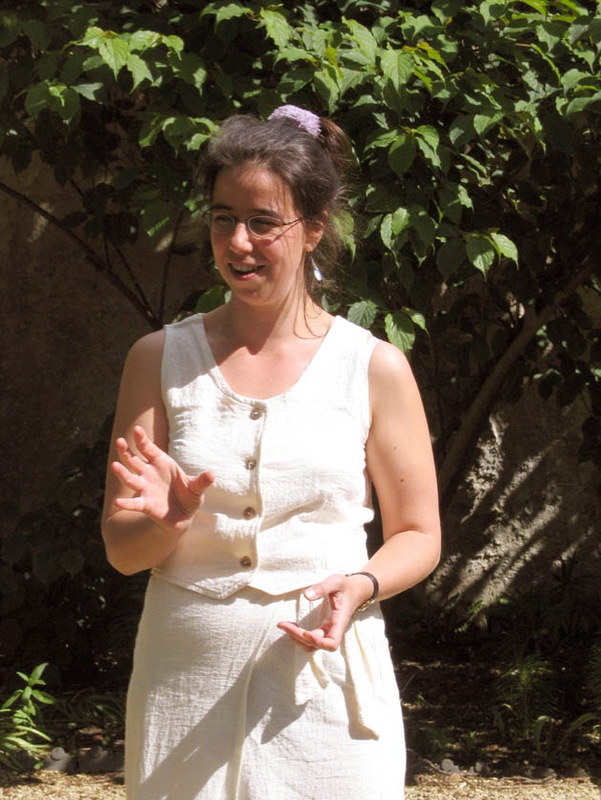 In 1996 I created my own wedding ceremony, and two years later, a 30th birthday ritual. People began to ask me for advice when making events of their own, and so a new strand of my work began. 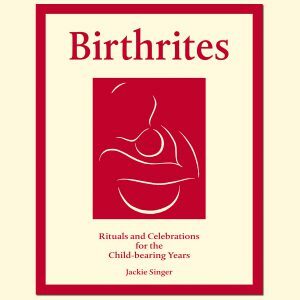 By way of on-the-job training for becoming a celebrant, I decided to research a book about new ways people are marking rites of passage, from birth through to funerals. Caught by the fascinating detail of the work on birth and babies, I decided this was a book in itself. Ten years, (including one divorce, one remarriage and two babies) later, Birthrites was born. I now also teach a day course in how to create ceremonies for mothers-to-be.